Dane County and the city of Madison, Wis., have awarded Green Bay, Wis.-based Baycom with a contract that covers in-car video products. Baycom will be installing the Panasonic Arbitrator 360°HD in the county and city's squad cars and patrol vehicles. Dane County and the city of Madison, Wis., have awarded Green Bay, Wis.-based Baycom with a contract that covers in-car video products. The contract will enable city and county law enforcement to upgrade their squad cars and patrol vehicles with high-definition video technology. Baycom is a provider of voice, video and data systems. The Panasonic Arbitrator 360°HD was selected as the solution following an RFP process and evaluation against competitors offering in-car video products. The technology will support public and officer safety while in the field. Baycom and Panasonic will be working with the county and city to upgrade more than 198 patrol vehicles over the next few months. 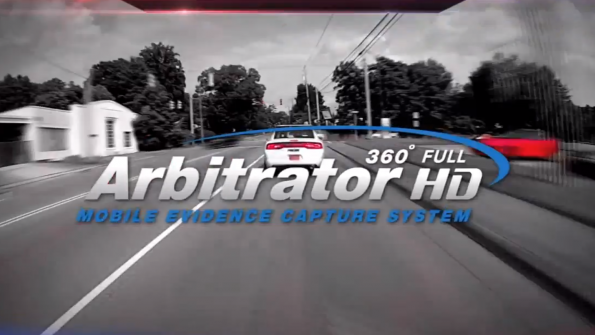 The Arbitrator 360°HD exceeds current industry expectations whether an officer is viewing license plate numbers in near complete darkness, or documenting suspect activity from hundreds of yards away. Recording in 1080p full HD resolution and delivering quality video, the system provides emergency responders with image clarity for critical evidence capture. The product delivers the mobile digital video evidence that law enforcement and other public safety agencies require for officer safety, better outcomes in the courtroom and trusted community relationships. The video system provides reliable service; it has a failure rate of less than one half of one percent since its initial release. Baycom has held the Wisconsin State Contract for Panasonic Toughbook products and services since 2002, and has represented the Panasonic Arbitrator digital evidence solution since its introduction. The company specializes in communications system planning, integration and installation for its public safety and commercial customers. Baycom’s iSQUAD team is Arbitrator Certified by Panasonic and has 30 service, installation and IT professionals on staff. To date, Baycom has installed and deployed the Arbitrator in-car video system to over 130 agencies. In this video, Panasonic’s Stacy Austin provides an in-depth look at the Arbitrator 360° HD rugged mobile digital video evidence capture and recording system.